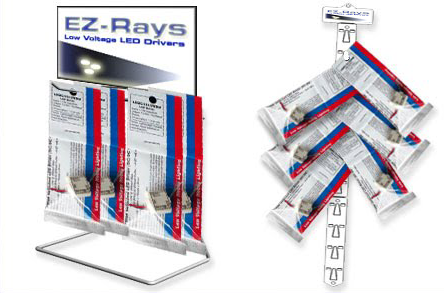 Use with the Tesla One-Wire or Two-Wire wiring configurations with all our LED drivers. The LEDWXMOD houses a typical hyper-white LEDs with forward voltages of around 3.5V to 4.1V @ 20mA forward current ratings. Self contained circuitry allows Illumination of a string of LEDs wired in either series or parallel.